Traveling is never without an appeal. For the downtime between my excursions when time allows, I indulge in paper and ink. While literature on travel is not necessarily high on the agenda, Lodestars Anthology travel magazine is a welcome exception. Beautifully illustrated and crafted, with a myriad of subtle details, the magazine, named after a direction giving star for travelers, Lodestars Anthology sets its focus on countries and fills its pages with observations, stories, interviews, photos, essays and recommendations. What Lodestars Anthology does is bringing more than the mere listings of sights and places to be – it endeavours to give the reader a feel of the place and conveys its charms and splendors well, putting oil onto the embers of your wanderlust. Established in 2014, the current issue features France, a country I have recently spent some time in. 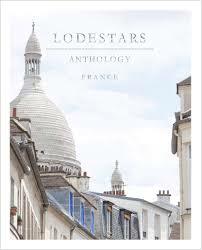 The fact that after perusing this issue of Lodestars Anthology, I feel like turning on the heel and returning is testament to its quality – it not only covers the stereotypical French selling points but zeros in on places off the beaten track, finding often overlooked relicts of the past as well as contemporary marvels, while accommodating a wide range of readers not limited to the well heeled ones. A creative and information publication of beauty that is worth getting swept up in. Print is not dead long live Lodestars Anthology!